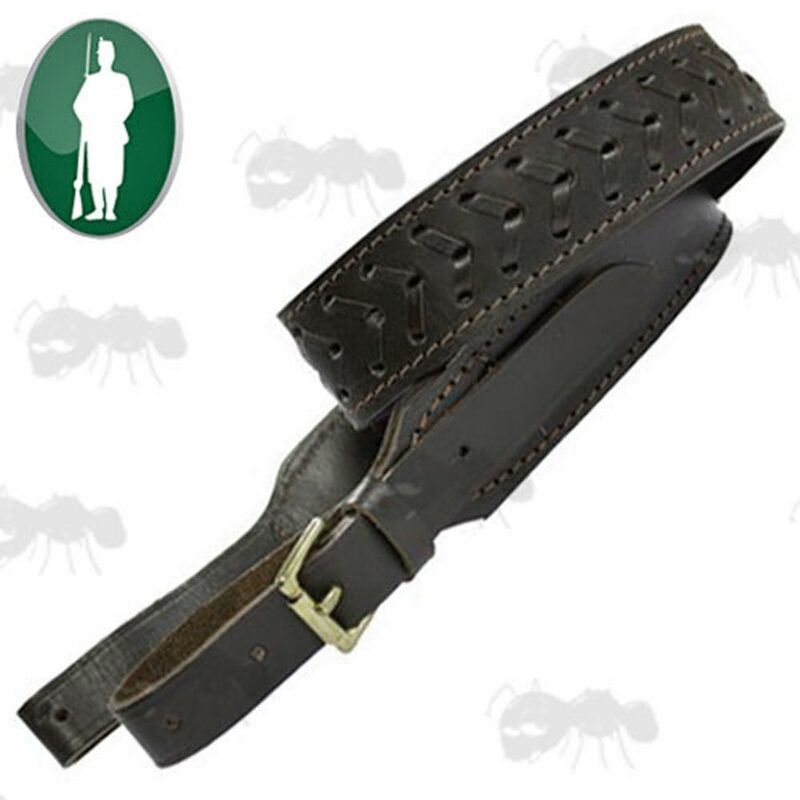 Thick leather strap with with black neoprene lining. 44.5 inches / 1130mm long from point to point. 1.5 inch / 38mm wide, tapered down to a 0.75 inch / 20mm strap to fit standard swivels. 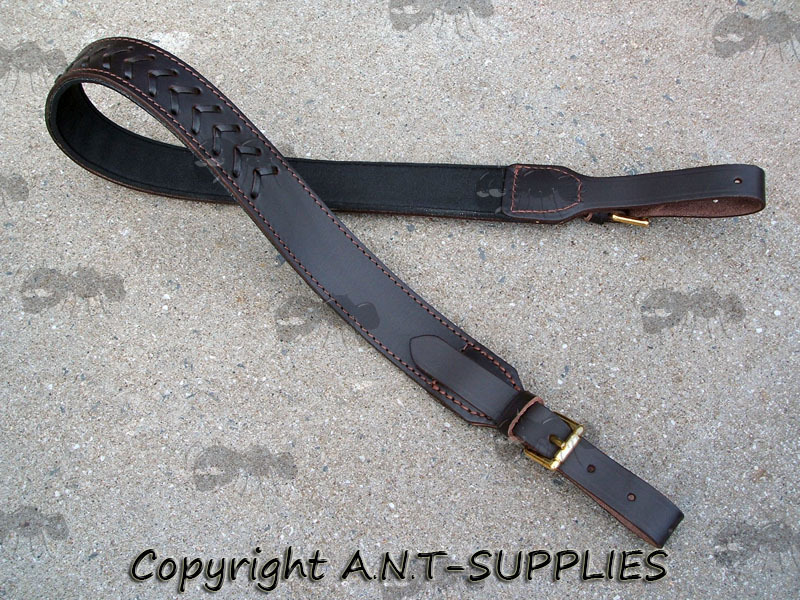 Adjustable length eyelets in the strap, with brass fittings. Weighs approx ~ 150 grams. Deluxe sling, beautifully made from the finest oiled dark brown leather with weave design and a comfortable neoprene backing.